BNP on Tuesday opposed the government's decision to set up a temporary court inside the Old Dhaka Central Jail to carry out the trial of Zia Charitable Trust graft case against party chief Khaleda Zia, saying that it is an anti-constitutional move, reports UNB. Speaking at an emergency press conference at BNP chairperson's Gulshan office, party secretary general Mirza Fakhrul Islam Alamgir also warned that they will announce political action programmes against the government decision. "We've come to know the government has issued a gazette notification about shifting the makeshift court on Bakshibazar Alia Madrasah premises to Old Dhaka Central Jail to hold the trial of BNP Chairperson Khaleda Zia's Charitable Trust case," he said. The BNP leader further said, "We would like to say this decision is contrary to the Constitution, and the charter will be violated if it's implemented." As per article 35 (3) of the Constitution, he said the trial of such a case must be held in an open court. "We strongly condemn and protest the decision." 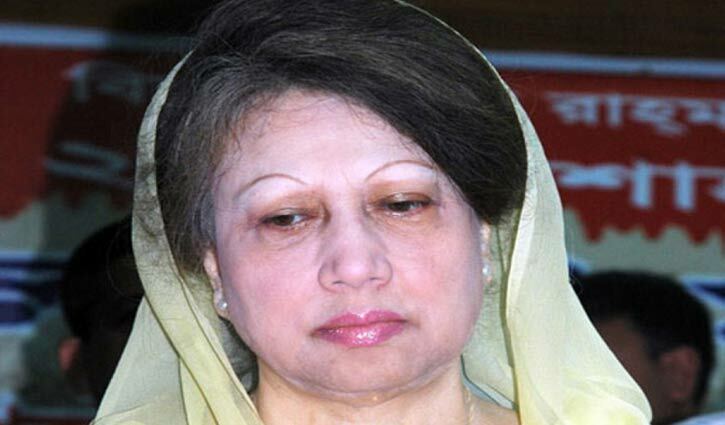 Fakhrul demanded the government withdraw the decision immediately and release ailing Khaleda Zia. "We think, it'll be a camera trial and we're taking the issue with due importance as the country's most popular leader's civic right is being snatched by breaching the Constitution. There's no scope to take the issue lightly." He said they will announce political programmes soon as it is a very sensitive issue for their party. The BNP leader said the government has kept their chairperson in jail unlawfully with various tricks even after she secured bail from the apex court. He alleged that the government is trying to repress and harass Khaleda using different institutions and influencing the judiciary. "We think the government has taken the move to affect the next general election and thus restore one-party rule. BNP standing committee member Moudud Ahmed said the trial of any criminal case will have to be held in an open court as per the Constitution. "The trial inside the jail means a camera trial which is contradictory to the Constitution." Moudud, also a former law minister, said they will take legal steps against the government's decision after discussions with party leaders and lawyers.